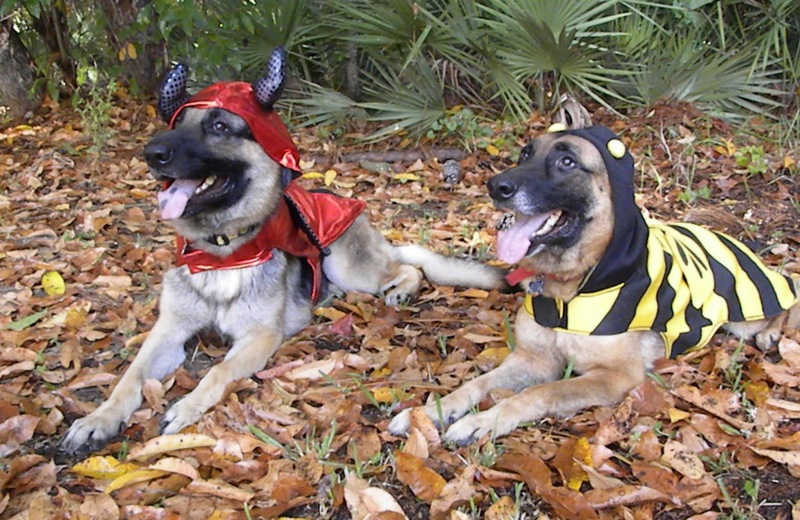 Kelley's Dog Blog: Happy Halloween! If you look closely, you can see Son #2 rising from the grave in a morph suit. The whole family gets into the holiday. Our pumpkins have stopped traffic. 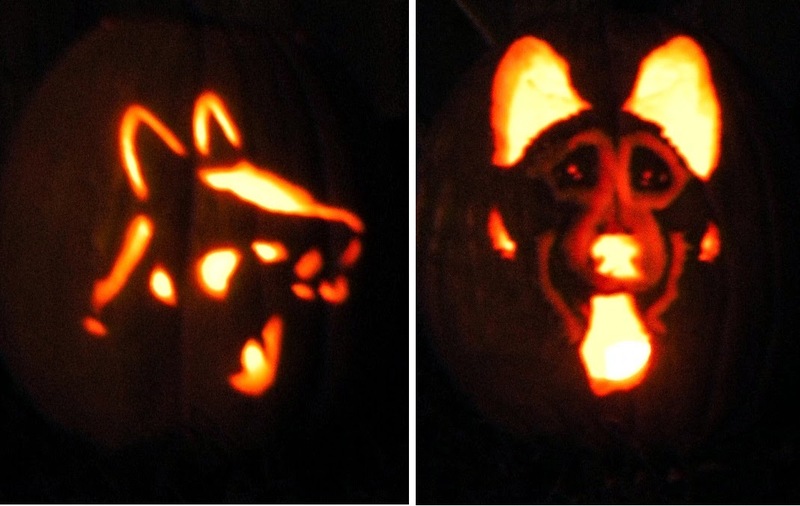 Click here for last year's GSD jack-o-lantern patterns. But this year our house is dark. We live in a cul-de-sac at the end of a long street. It use to be filled with kids, but over the past 10 years all children have grown up and moved away. 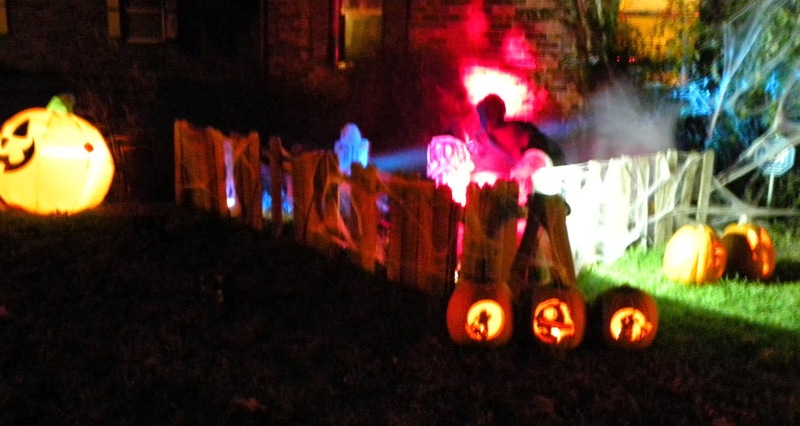 Last year we only had a dozen trick-or-treaters. It's sad. Hubby has decided to forgo the decorations and spend the evening volunteering at the American Legion instead. I'm going to sit in the dark and watch the last season of Dexter. I couldn't completely ignore the holiday, however. 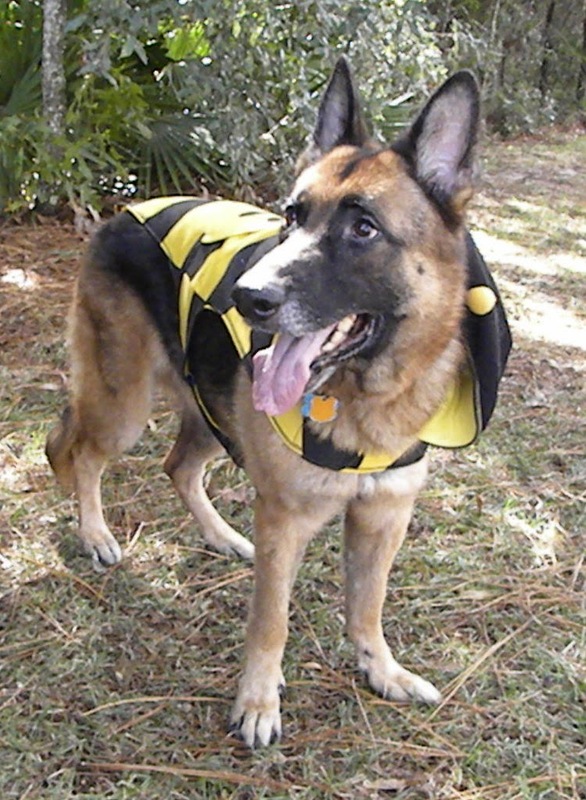 I dressed the dogs up and did a photo-shoot earlier. Aren't they precious? 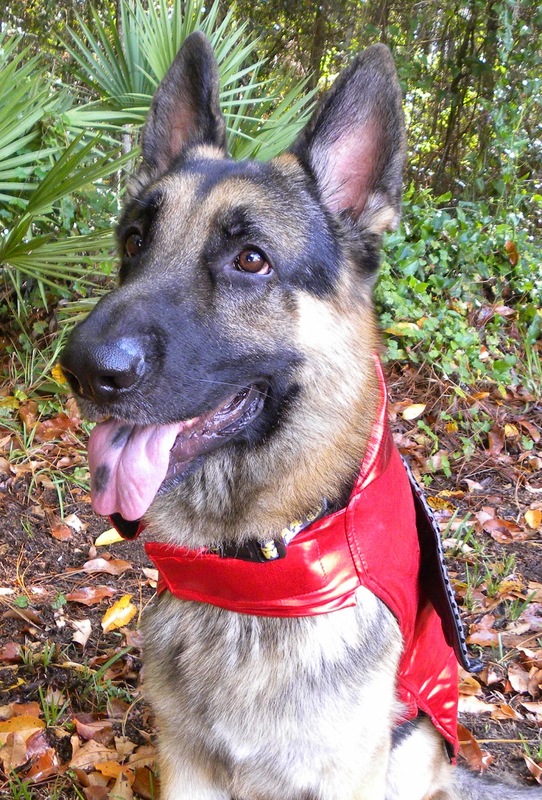 It's not easy finding costumes for large dogs. They didn't care much for those hoods either. I'm not sure how I feel about not celebrating Halloween with costumes, spooky decorations and LOTS of chocolate. I think this is the first time in 40+ years that I haven't done something. We didn't even carve pumpkins! OK, enough pouting. I'm going to order a pizza and check out the Pet Parade. Animals in hats always make me feel better (much to Jedi's dismay). Tomorrow I'm going to get as much discounted Halloween candy as possible. And maybe a pumpkin. Seriously, what were we thinking? !